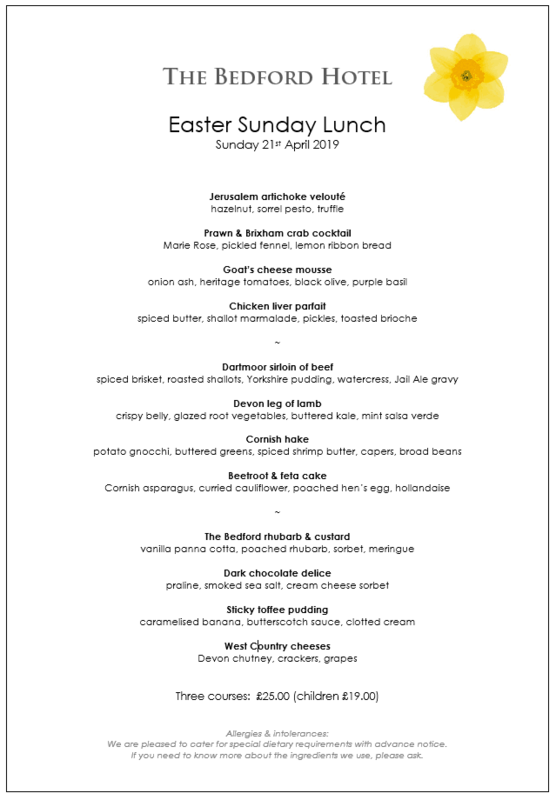 Treat yourselves to a perfect Easter treat, a delicious and traditional three course Easter Sunday Lunch at The Bedford Hotel in the heart of Tavistock. The finest seasonal Devon produce, prepared with care and presented with flair, in the warm and welcoming surroundings of The Bedford Hotel. Relax - make a day of it - and take a stroll through The Meadows after lunch. Or simply enjoy a lazy afternoon in our comfortable lounges.